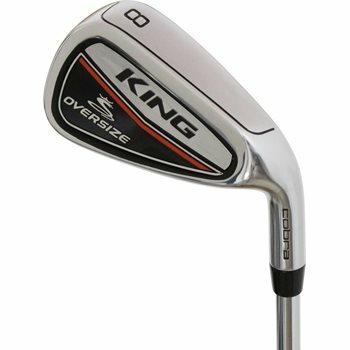 The Cobra King OS irons were designed with a thinner, stronger PWRSHELL face to give you Cobra’s largest Sweet Zone ever for higher ball speeds and explosive distance. The multi-material Thin, Optimized, and Personalized technology construction allows the CG to be moved lower to create more distance and forgiveness while the CNC milling improves groove structure to deliver maximum spin and trajectory control. The V-Grooves on the 4-6 irons reduce spin, the U-grooves on the 7-PW optimize spin, and the wedge-spaced grooves on the GW-SW product extra spin for shots around the green. The irons have nickel chrome plating that provides better aesthetics and durability to keep them looking great and long lasting. What model year are these? These were released in early 2017.